Cooking rice perfectly on the stove is not difficult, but requires a watchful eye to prevent the rice from boiling over. 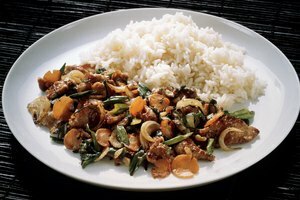 Additionally, if you forget to cook the rice as soon as you start preparing dinner, you'll have to add another 20 to 30 minutes of cooking time before dinner gets on the table. 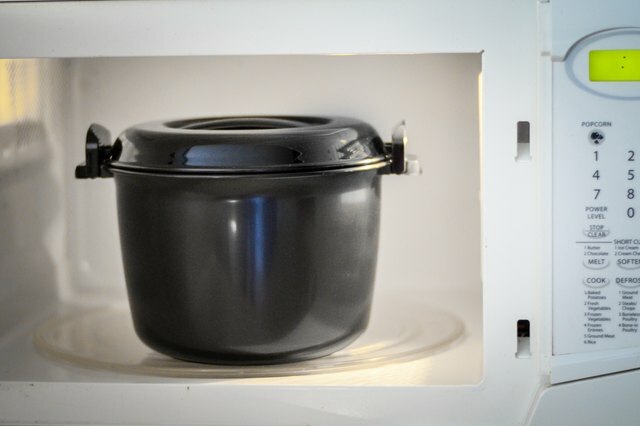 Pampered Chef solves these problems with a microwave oven rice cooker. This 3 qt. rice cooker is specially designed to cook rice in a microwave oven in less than 15 minutes without boiling over. 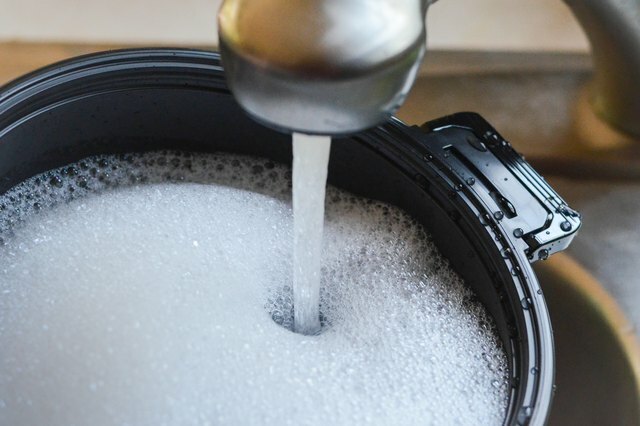 Wash the Pampered Chef rice cooker with mild detergent or in a dishwasher prior to use. Pre-measure the rice and water according to the microwave cooking directions on the rice package. 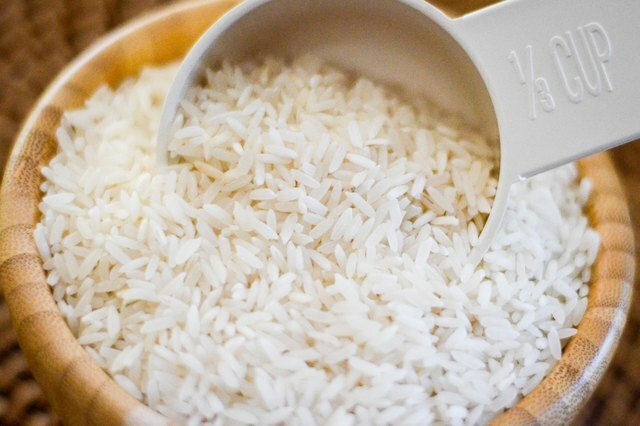 Rinse the rice in a colander to remove excess starch. 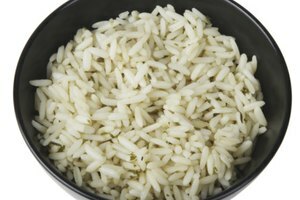 Place the rice and pre-measured water in the cooker. Cover the rice with the clear inner lid. 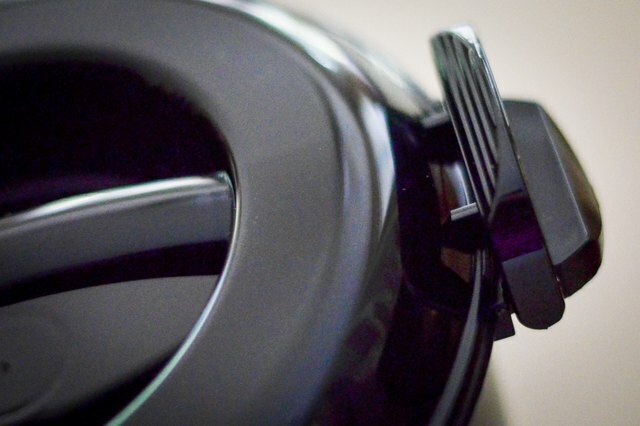 Align the tabs on the rice cooker's outer lid with the rice cooker's handles. Pull the locks over the tabs and lock into place. 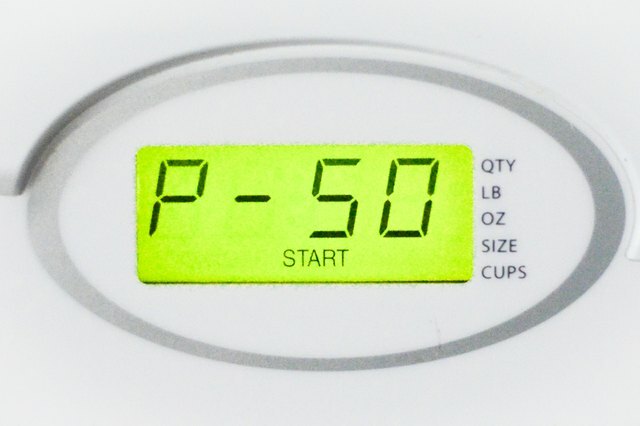 Set the microwave power setting to 50 percent (medium) and press "Start." Cook the rice for 12 to 14 minutes. Remove the rice cooker and it set aside, unopened, for 3 minutes to allow all of the water to absorb into the rice. Put on the oven mitts and unlock the tabs on the lid. 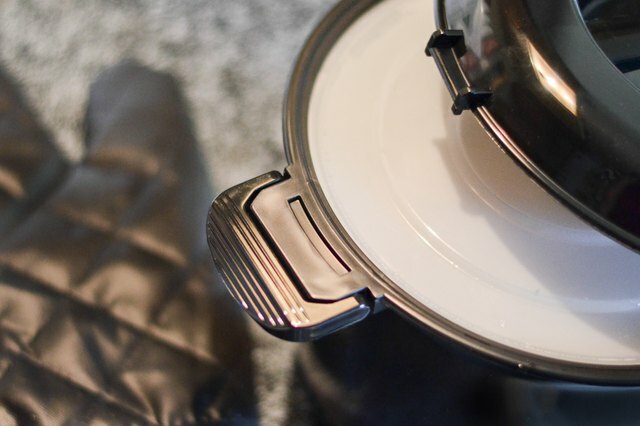 Remove the lid so that the steam escapes from the side of the lid that faces away from you. Insert a kitchen utensil into the center hole of the clear lid. 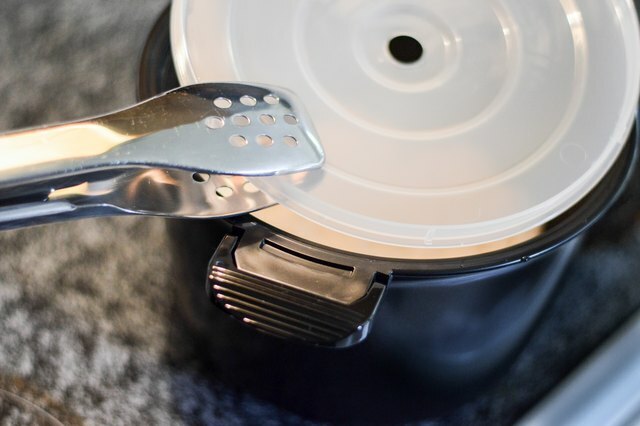 Use the utensil to lift the clear lid off of the rice cooker. 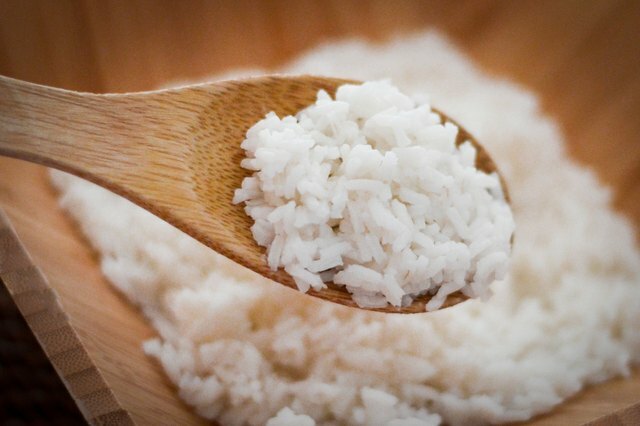 Spoon the cooked rice into a serving dish. Follow the directions on the rice package for microwave cooking. 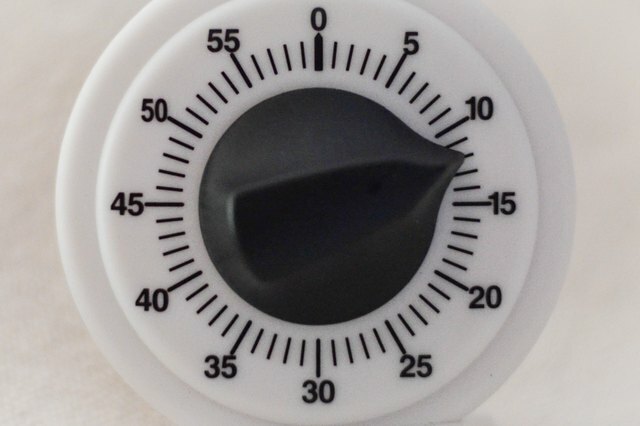 Adjust power and cooking time as necessary since microwave ovens vary. Do not use the rice cooker to cook rice on the stove or in an oven. Do not use the cooker to cook rice without water. Do not try to brown rice in the cooker. Roxanne McHenry has written online marketing articles and courses for Web publications including Affiliate Classroom and Web Pro News since 2002. McHenry has a B.A. in Japanese language and literature, and lived and worked in Japan as a teacher and technical translator.